Featuring a Hand Embroidered Cold-Shoulder Tomato Red Pallazo Set. 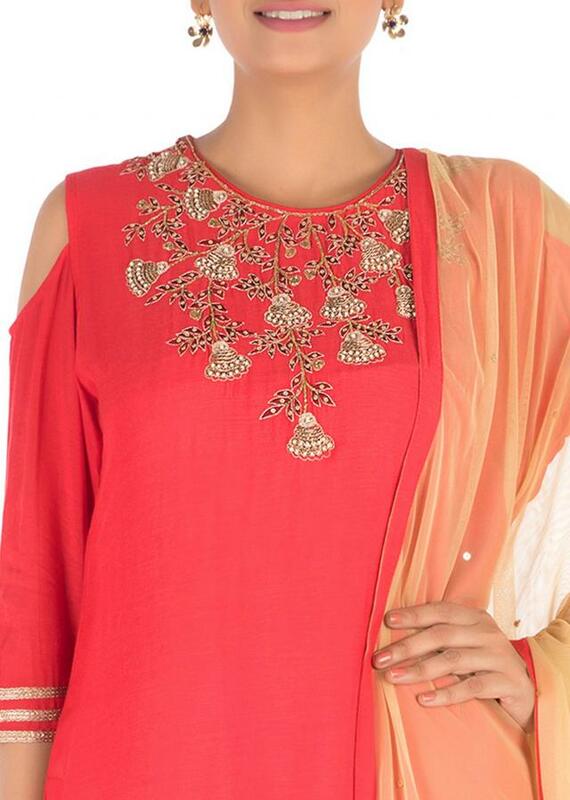 The kurti is adorned with elegant embroidery with sequins and pearl work along the neckline. 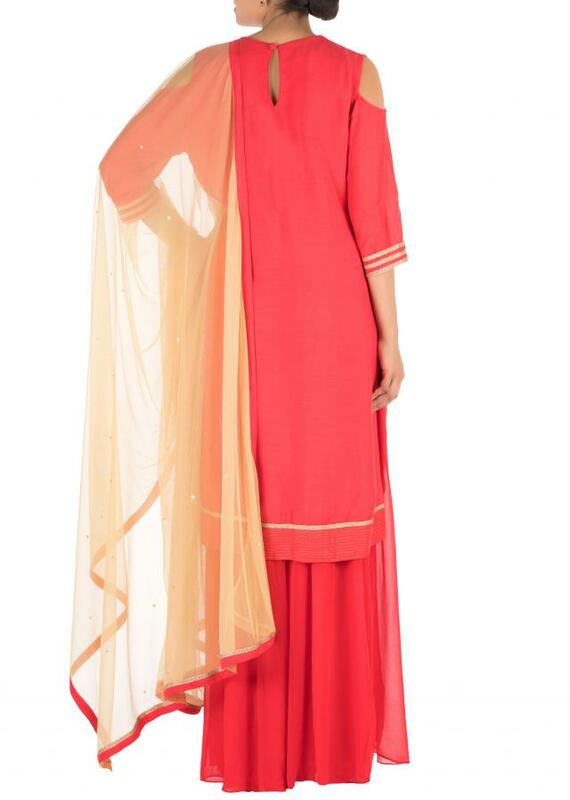 FABRIC SPECIFICATION: The kurti is made of muslin with taffeta lining the pallazo is made of georgette and the dupatta is of net. 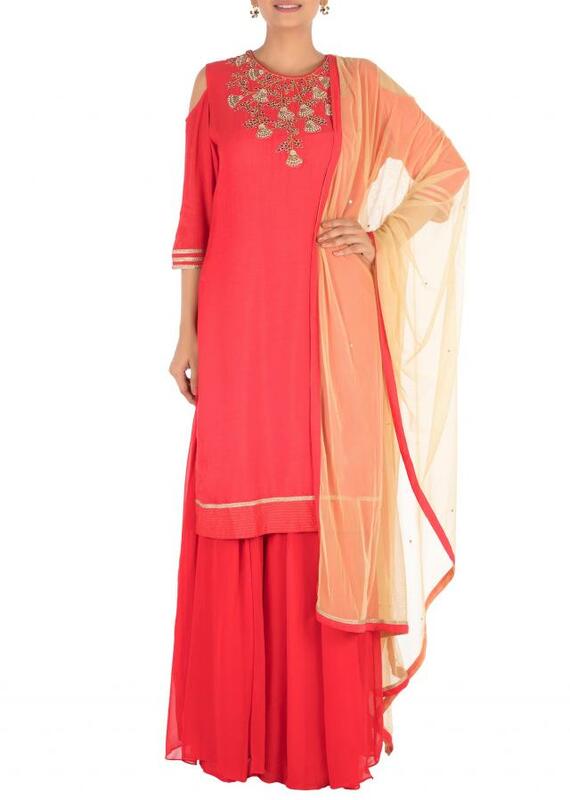 FULL LENGTH: The length of the kurti is 50" and the pallazo is 43".